The African American culture of the South has produced many of the twentieth century’s most innovative art forms. Widely appreciated for its music—from the blues and jazz, to gospel, soul, rock ‘n’ roll—the region has also played host to a less visible but equally important visual art tradition. Working without significant formal training, often employing the most unpretentious and unlikely materials, these grassroots artists have created powerful statements that, like the music, are strongly influenced by the legacies of African belief systems, rooted in community, and committed to cultural continuity. At the same time, however, this quintessentially American art testifies to the originality and transformative force of individual imaginations. 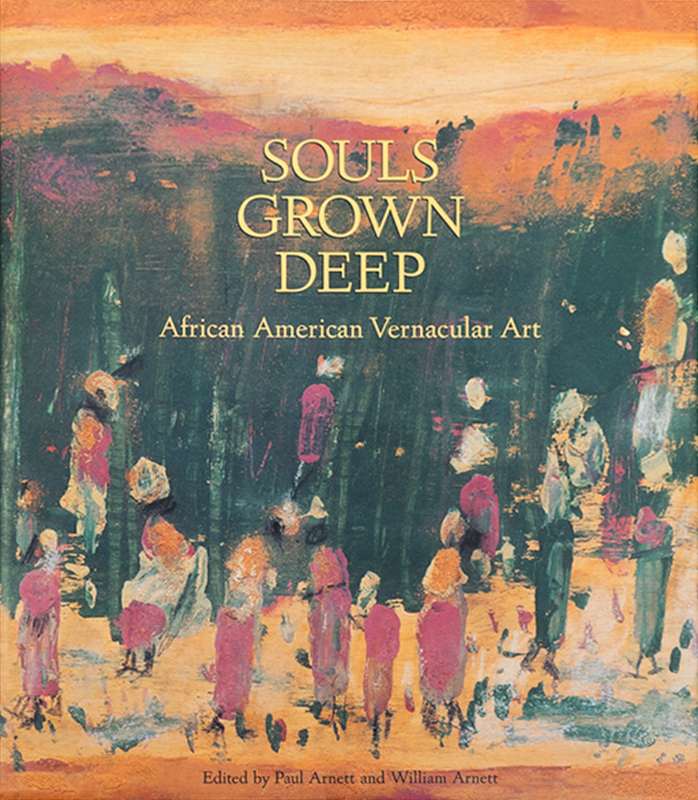 Since the 1980s, popular and critical interest in this genre has grown dramatically and has given it many names: “self-taught,” “folk,” “outsider,” “visionary.” Souls Grown Deep: African AmericanVernacular Art is the opening work in a multi-volume study that offers the first comprehensive exploration of this art form’s development during the late twentieth century, an era shaped by the civil rights movement. Souls Grown Deep illuminates a remarkable spectrum of creativity: the media of painting, sculpture, and works on paper; the region’s outdoor art environments and art installations; historical examples from earlier eras; and relevant decorative arts and crafts. With unprecedented thoroughness and scope, Souls Grown Deep takes readers inside these creators’ worlds. The book includes lavishly illustrated, full-color chapters on forty vernacular artists. Writing from diverse perspectives, thirty-seven contributing writers—including civil rights leaders, art historians, museum curators, and folklorists—present thematic, and historical overviews crucial to and understanding of the art’s origins.